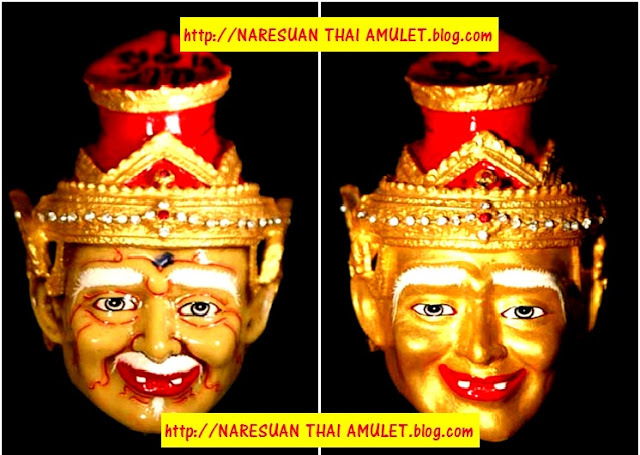 NARESUAN THAI AMULET: 9 Sean(heads) Guru Gods. Phra Issuan is the one who create universe. He have 1 face, 3 eyes, 4 arms. He wear tiger and elephant skin, a cow as his shuttle. 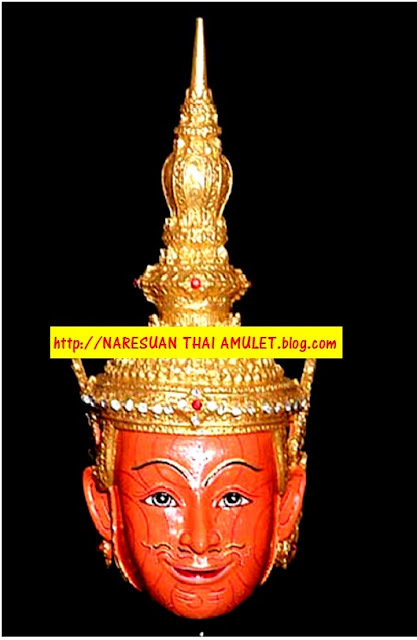 His spirit stay in Krairarth mountain, his wife name "Phra Aumar", he had 2 childs name "PhraKhuntagumarn" and "PhraKaned"(Pikaned). He's an original form of PhraShiva, PhraPhrom, PhraNarai. 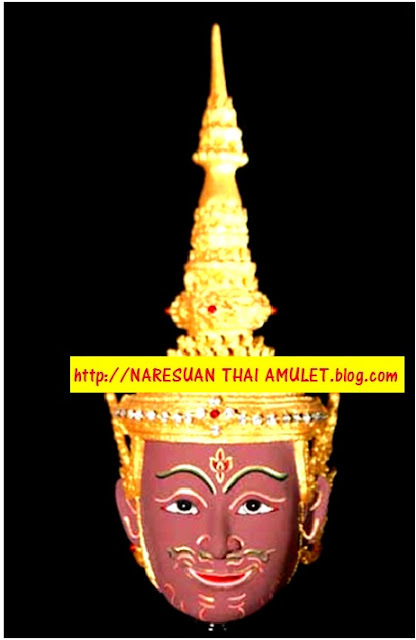 Phra Narai is the god of righteous, his body has pink/purple skin. 1 face 4 arms, riding garuda with is victorous crown. He's one of the most powerful god, God of fortune and good is his wife. 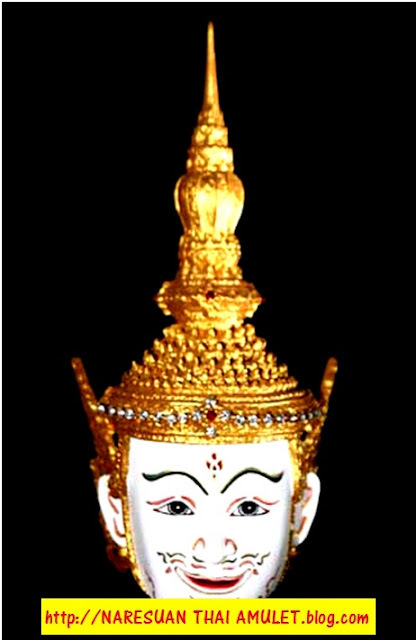 Brahma or 4 faces Buddha, PhraPhrom the god of wisdom. 4 faces 8 arms with 2 ladders crown. 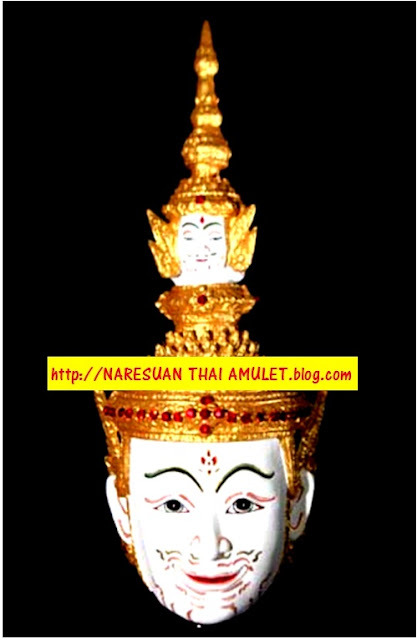 His wife name PhraSurassawadee god of knownledge. His skin and soul is purify white colour. His blessing are miracle and wisdom. Phra Inn is ruler of Dowadueng heaven, green skin with thousands eyes. Use thunder as his weapon and riding elephant king "Erawan". He have 4 wives "Sujitra" "Sudhuma" "Sununtha" and "Suchada", he is the god who look after human world. This god used to be a human, a young boy look after a cow and farm. One with strong faith conduct good merit, once he died and travel, his spirit become powerful "Pujasippakondhum Thepabuith", 1 face 4 arms with gold skin. The favorite disciple of Buddha which can visit him by any times. God of art and musical, one on earth who conduct good karma. Once pass away, all the spirits raise him with respect to become a god with power. Green skin 1 face 2 arms, some legend said he've no hair. 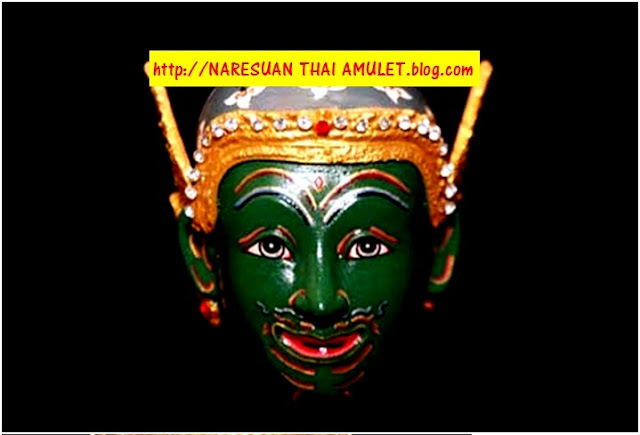 He's a craftman god of PhraInn who create a powerful weapon and musical instrument. 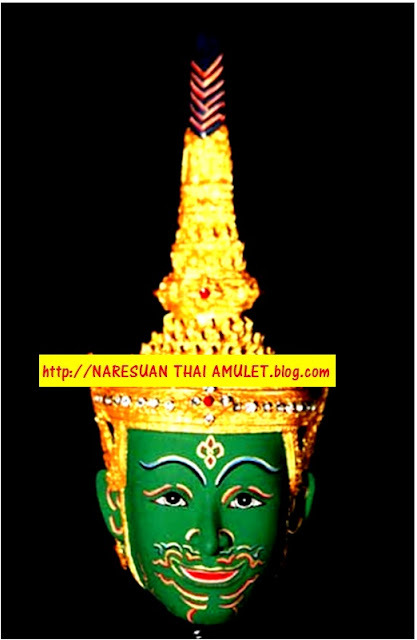 The legend said that the fist time ever human found musical instrument and music was by him, he was sended on the purpose by Phra Inn. 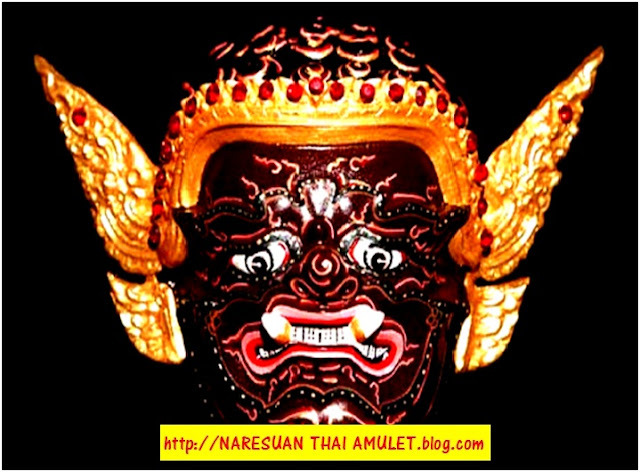 The Demon King, his spirit live in Ausagan mountain, He's also the god of art, use spear as his weapon. 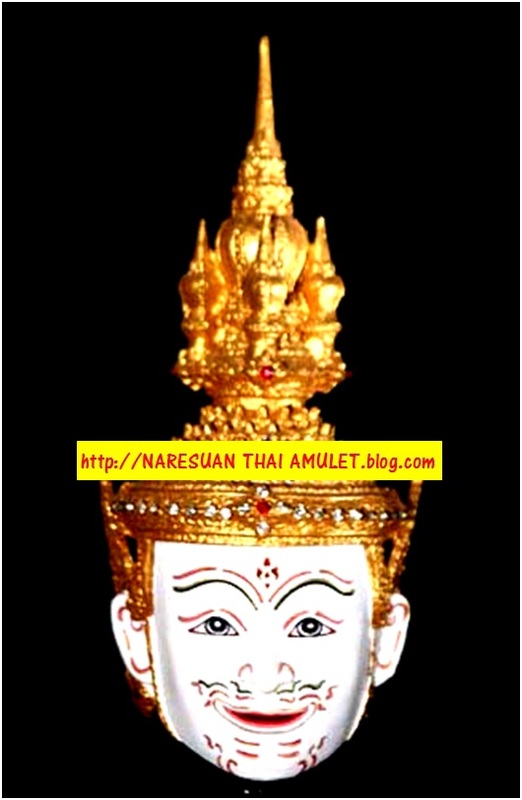 Phra Pilarp is also one part of spirit from Phra Issuan when he's transform. His name connected with "Viravana" which is also a god of art/dance of Hindu. There are 35 of hermits "Phra Porata Rorsree" which ordered by PhraPhrom to explan the teaching of art in the world.